Create a wide range of grays from deep black to transparent shades with ArtGraf's revolutionary watersoluble graphite. 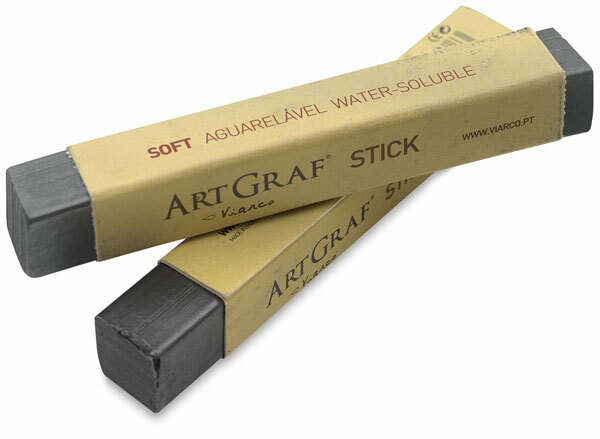 Available in a handy tin or in stick form, ArtGraf Graphite applies easily yet erases cleanly. Tin — Explore the possibilities of working with washes and other watercolor techniques by simply wetting a brush, touching it to the graphite, and applying the color to paper. Sticks, Set of 2 — These 3½" long watersoluble graphite sticks contain a unique blend of graphite and binders that allows them to be used wet or dry.